Hi, I’m Rosie and I’m currently in my third year studying Geography at Newnham college. I’m really looking forward to captaining the third team this year. It’s looking to be a very exciting year ahead! Previously, I used to do some dressage, eventing, show jumping and hunting. I have also been on the uni riding teams for the last 2 years and have loved winning varsity both times!! Hi, I’m Mimo and I’m a Fresher Vet at Clare. I’ve been riding since I was 5 and currently own Seamus, a coloured, Irish ex show horse that I’ve been producing to event for the last 2 years. We’ve been doing BE100s this season and are hoping to move up to Novice next season. 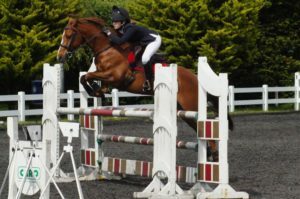 We jumped a few Newcomer’s this summer as well as competing in the Open Dressage Pony Club Championships up in Cheshire. Before Seamus I had a 148cm eventer who took me from BE90 to Novice. 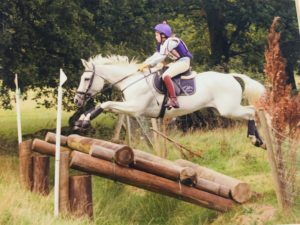 Our dressage wasn’t always up to scratch and he liked to show-jump by Braille but was an absolute machine cross country regularly making it round inside the time. I am a member of the Old Berkerley Hunt South Pony Club and currently have my B+ and AH tests and am working towards my A test. I’m especially looking forward to the Varsity match against Oxford next year. Hi, I’m Sophie and I’m going into my third year of Land Economy at Magdalene. I’m new to CUET and am very excited for the year to come. 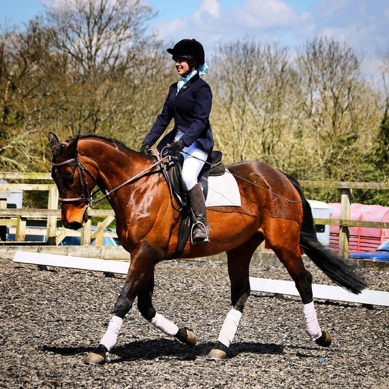 Previously I evented up to BE Novice with a horse I was very lucky to get on loan called Tamar Dancer. During our time together we competed up to Intermediate level at Pony Club and Riding Club, of which the highlights were winning the area eventing and dressage competitions two years in a row and going on to finish 5th at the PC National Championships and 8th at the British Riding Club National Championships. Since making the difficult decision not to keep a horse whilst at Cambridge, I’ve continued riding at the yard where I work, mainly producing young horses and hunting regularly. As a result, I’m looking forward to the challenge of riding a range of horses at matches. Hi, I’m Julia and I’m currently in my first year studying Land Economy at St John’s. I have been riding since I was 10. For the last few years I have been competing in show jumping. Together with my horse Dirty Harry we took part in many shows across Europe (in Austria, Italy, Germany, Poland) representing my country – Poland. 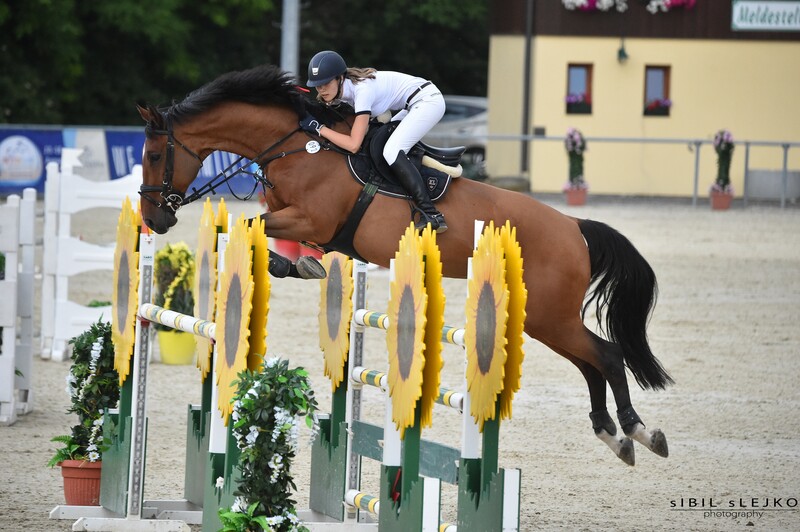 I took part in several Junior Grand Prix competitions at the 1.40 m level as a member of the Polish junior team. During my first year as a Young Rider (2017) I successfully started competing at the 1.45/1.50 m level.